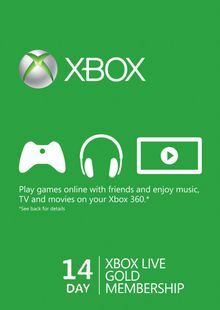 An Xbox LIVE Gold membership requires users to have a broadband internet connection. For voice communication, a compatible headset is required. What's included with a 6 month Xbox Live Gold membership? Included in this product is a 6 month Gold membership for Xbox Live. 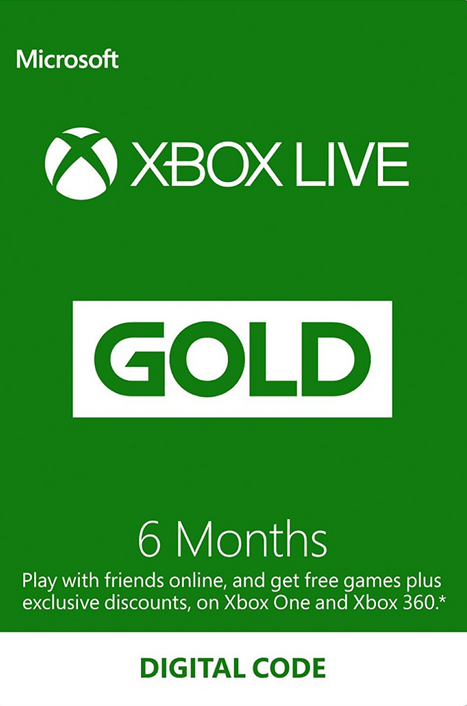 Is there any region lock for this 6 month Xbox Live Gold membership? This product is available worldwide.There's no region lock. 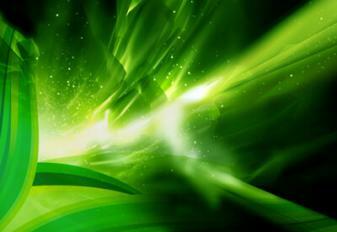 How will I receive my instant download for my 6 month Xbox Live Gold membership? After payment has been approved, your key will be included in the order confirmation email. You can access your key by following a link in the email. You can then activate your key by following the instructions below. How do I activate the 6 month Xbox Live Gold membership? Free games, twice a month, that are yours forever including Microsoft exclusives on the day they release. Want to get a free key for an Xbox Live Gold membership?